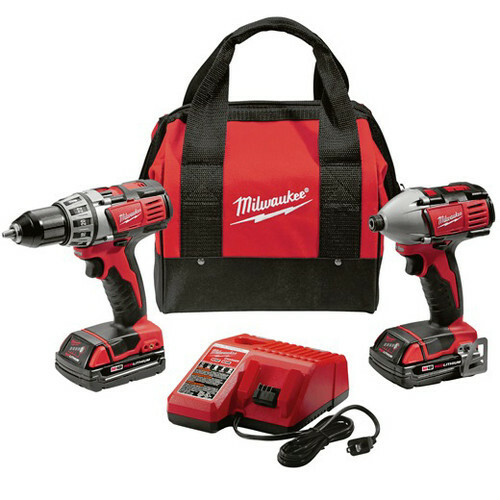 Right now there is a great deal on the Milwaukee M18 Lithium Ion 2-Tool Combo Kit 2691-22 for only $149.99. 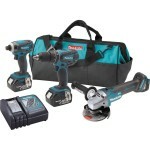 This kit includes the M18 18V Cordless 1/4 in. 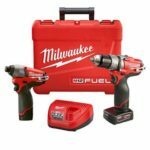 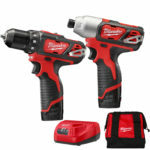 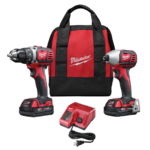 Hex High Performance Impact Driver – 2650-20, M18 18V Cordless High Performance Drill/Driver – 2601-20, (2) Lithium-Ion Batteries – 48-11-1815, 18V Charger – 48-59-1801 and a Carrying Bag.